Brett Anderson is teammates with Brandon McCarthy again. To mark the occasion, Anderson joined McCarthy in changing his avatar in hilarious fashion. 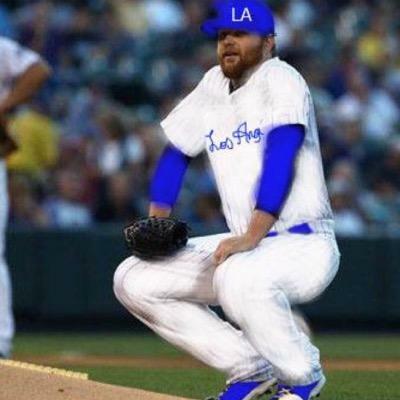 Free agent pitcher Brett Anderson signed with the Dodgers this week, reuniting him with former teammate and fellow pitcher Brandon McCarthy, who signed with the club last week. Great job by Anderson to join McCarthy in the ranks of the amateur MS Paint avatar army. But we've got a bone to pick with him. McCarthy actually did the alterations for his avatar himself (as is obvious by the, uh, less-than-excellent outcome). Anderson didn't, instead relying on one done for him by a fan. This is, frankly, inexcusable. The fact that Anderson didn't change his picture himself immediately -- what does that say about his commitment to the Dodgers? More importantly, Anderson sat up on his high horse and just expected a fan would do his work for him -- is that how he sees his fans? People who are there just to do him favors like this? These are important questions that Anderson must address as soon as possible. One unfortunate fact about the last time the two pitchers shared a team, in 2011-12 with the Athletics, is that both dealt with significant injury problems when they overlapped in Oakland. 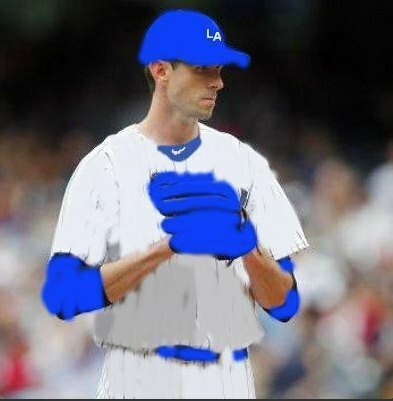 Should that happen again with the Dodgers, at least Anderson and McCarthy will have plenty of down time to develop their MS Paint skills.